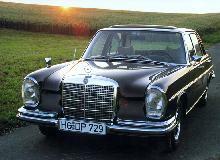 During the late 1960's Mercedes managed to mislay its logical model designation numbers due to its confusing size-range and engine choice. 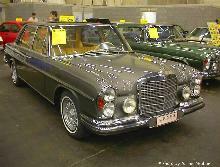 One such example was the 300SEL 3.5. Normally Mercedes would have named this model "350SEL" (because of its approximate engine size, 3.5 = 350), but instead chose to highlight the engine size separately. 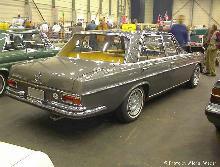 The bodyshell was visually similar to that of the 280SE but was in fact 4 inches longer. 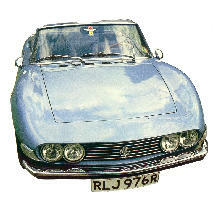 The other difference was of course the addition of a 3.5 litre V8 engine. The V8 made this one of fastest saloon cars and was happy to blast its way down the German Autobahns unhindered for many years. The 300SEL first appeared in 1966 as a W109 Chassis car. 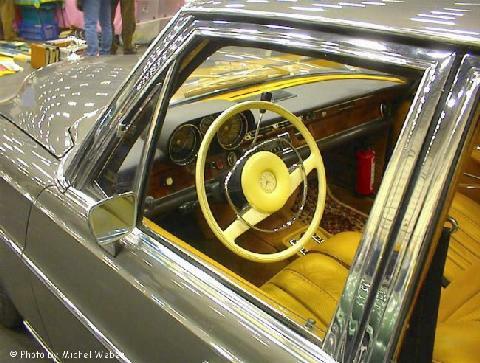 They had air suspension, same floor pan design as the W112 but a completely different body style. There were several different engines, the 3.0 six, M189, the 2.8 litre six, M130, the 3.5 litre V8, M116, 4.5 litre M116 and the M-100 6.3 litre V8 of which just over 790 right hand drive cars were built. The last one built was in 1972.